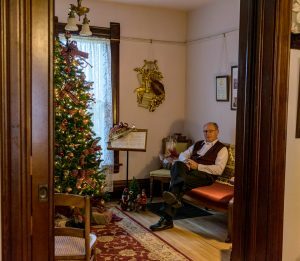 Come join us as we celebrate our Very Victorian Christmas at the Larson House Museum at 6003 Exchange Street in McFarland, Wisconsin. We will be open as part of Christmas in the Village on December 2, 2017 from 10 am to 4 pm. Every room in house will be decorated and free tours will be given. Fancy treats and hot beverages are served all day. 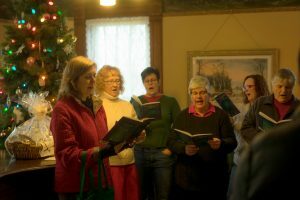 Holiday music will be played on our piano from 10 until 3, a reading of “T’was the Night Before Christmas” for the children at 3 pm, followed by carols will be sung around the tree in the living room. We will have open house on Sunday afternoons from 1 to 4 pm. 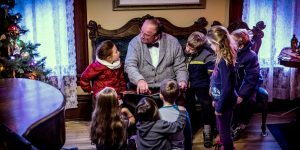 Free tours will be given, fancy treats and hot beverages served, and a reading of “T’was the Night Before Christmas” for the Children at 3 pm.